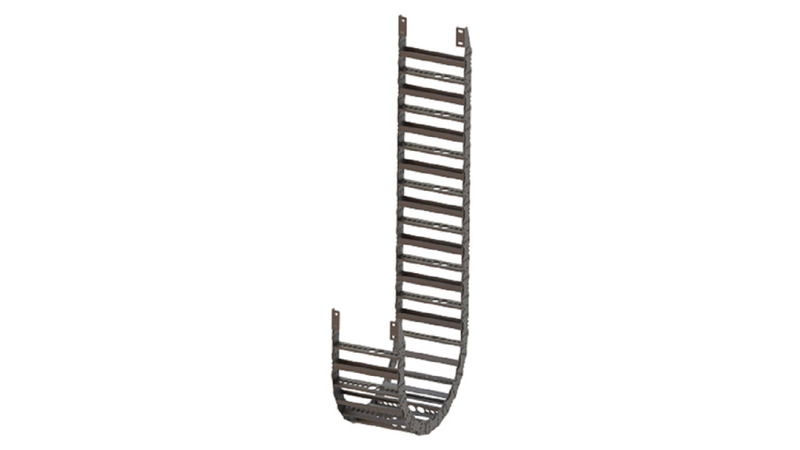 Steel type carrier is used to be steel works, foundries etc. where is not possible to use plastic cable drag chain. It has long unsupported lengths. Available in 1mm aluminium width sections. Aluminium&apos;s are screwed for maximum stability. Dividers are made of steel or plastic. Aluminium designs are made of according to the cable and hoses hole dimensions which is suitable for customers projects. Each sideband has frames at standard. Side bands are made of zinc coated. Custom manufacturing according to your project.